It wasn’t expected, but new home prices increased in February according to data from Statistics Canada. 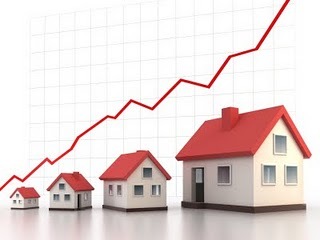 After a 0.1 per cent decline in January the agency’s New Home Price Index rose 0.2 per cent led by the combined metro of Toronto and Oshawa which was up 0.3 per cent and was the largest contributor to the gain. The largest price increases were in the Halifax and Kitchener-Cambridge-Waterloo metros with gains of 0.4 per cent. There were also increases in Montreal (0.3 per cent) and Edmonton (0.2 per cent) in February. The largest declines in prices were in Regina and London (both fell 0.3 per cent); Quebec was down 0.2 per cent; Hamilton, St. Catharines–Niagara and the combined region of Greater Sudbury and Thunder Bay were all down 0.1%. Prices in 9 of the 21 areas surveyed were unchanged.